Reach new markets, maintain contacts and more with Eco Printing Gallery premium quality Business Cards one product that no business can survive without! And with Eco Printing Gallery high standards in quality, service and turnaround, customers are guaranteed to make an impact with some of the finest looking cards in the industry. All for a price that can’t be beat. This will be printed on 16pt card stock with UV coated finish on the front. 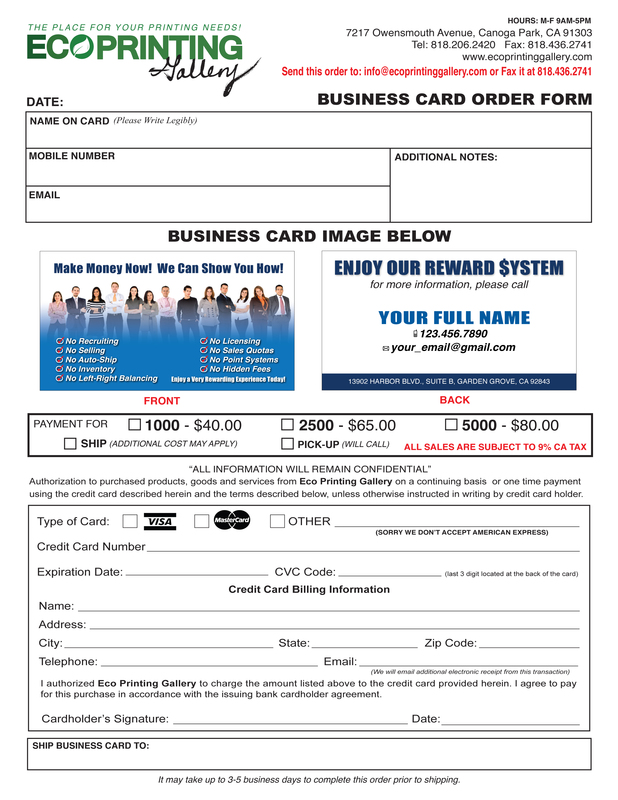 You can also download our business card order form and email it to info@ecoprintinggallery.com.